Exquisite home perched high overlooking double fairways and gorgeous mountain views! Expanded Santa Fe model brings it ALL!!! 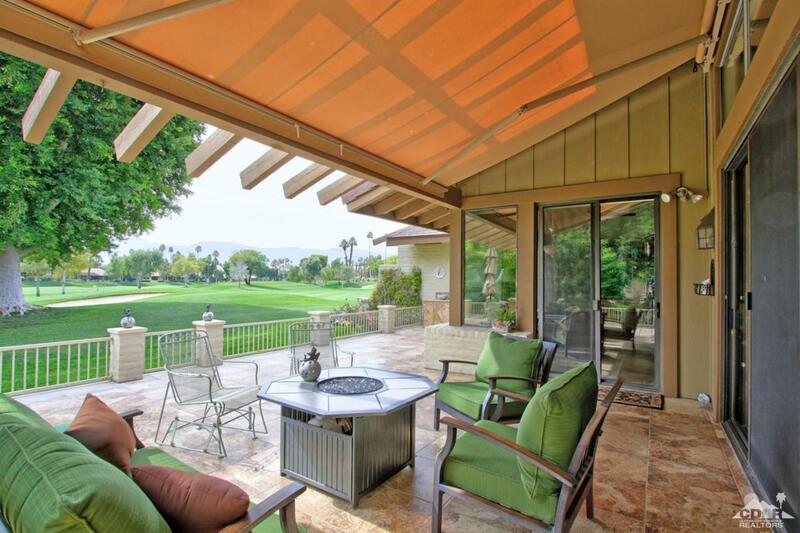 Extended patio is huge for indoor/outdoor entertaining with retractable awnings. Open kitchen with gleaming new appliances, granite countertops, newer tile and beautiful gray tones on the walls. Kick back in the added media/man cave with built in bar overlooking awesome views with double fireplace. In the back, a large custom office space has been added off the master which could also double as a new closet! Master bath pops with that cozy spa feel. Sideyard privacy really makes this feel like a HOME. Golf cart garage added and laundry room expanded. One of the largest homes in The Lakes!!! Listing provided courtesy of Jennifer Carter of Carter & Company.